BRAC is proud to support the Beginning Racer Program (BRP) designed by USA Cycling. We have several experienced coaches who host the BRP at select events in Colorado throughout the season. If you know you are interested in attending one, see the links below to the BRP calendar. Otherwise, read on for a description of the program. If you are a race director or coach looking to host a BRP clinic, be aware that all parties looking to hold a BRP MUST complete the BRP application and meet the requirements outlined in the application. Once the application has been reviewed and approved by USA Cycling, the USA Cycling Beginning Racer Program manual will be delivered to the requesting party. Along with the BRP manual, approved providers of the BRP will also receive the official USA Cycling BRP provider logo to display on their websites, flyers, collateral, etc. Click here to view the application. What is the USA Cycling Beginning Racer Program? The USA Cycling Beginning Racer Program is designed to provide new racers with an enjoyable and educational experience as they learn to race their bike. The objective of the BRP is to inspire and educate new riders, thus leading to safer more enjoyable racing experiences. The BRP is broken down into five separate clinics, with each clinic holding a unique and progressive curriculum. 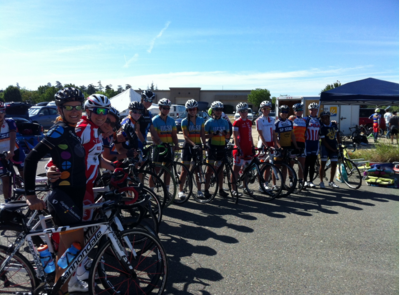 Each clinic is comprised of three components; 1) on-bike instructional clinic; 2) mentored race; and 3) race debrief. 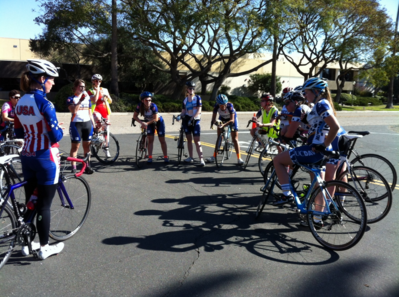 Why Hold or Attend a USA Cycling Beginning Racer Program? Almost everyone at some point in their life has learned to ride a bike, but very few have learned or been taught how to race their bike. For new racers, the USA Cycling BRP is a great way to learn the skills and dynamics of bike racing in a safe and unintimidating environment. Whether you are a young junior rider or a master’s athlete, the BRP will guide you step by step through how to race without the pressure of a competitive environment. For Race Promoters, the USA Cycling BRP is ideal for teaching upcoming racers how to race safely, have fun learning to race, as well as, build the skills and confidence necessary to have them continue to race. USA Cycling rules state a Cat 5 cyclist may upgrade to Cat 4 by acquiring ten (10) points. These points can be achieved by finishing 10 mass start races, or 5 USA Cycling approved Beginning Racer Program (BRP) clinics, or a combination of both. Mass start races count as one (1) point each and USA Cycling approved Beginning Racer Program clinics count as two (2) points each clinic. Women cat 4 cyclists are authorized to apply up to ten (10) points from the Beginning Racer Program clinics towards cat 3 upgrades.